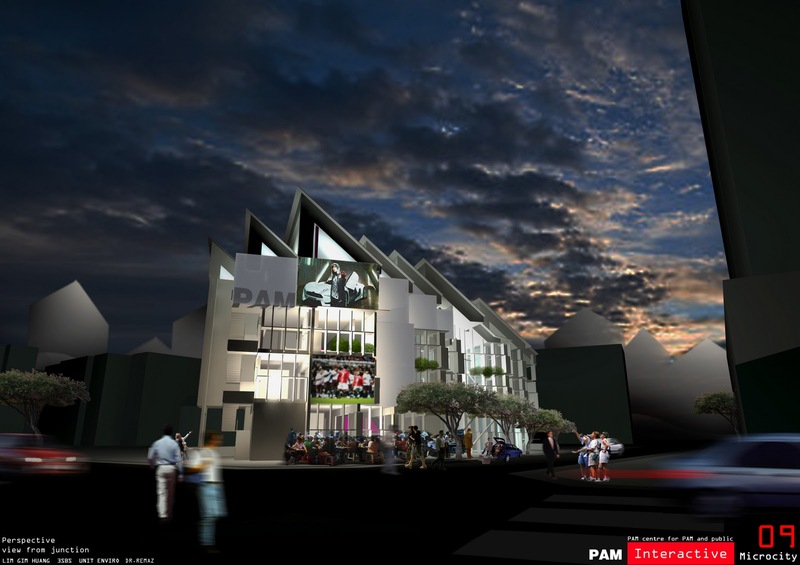 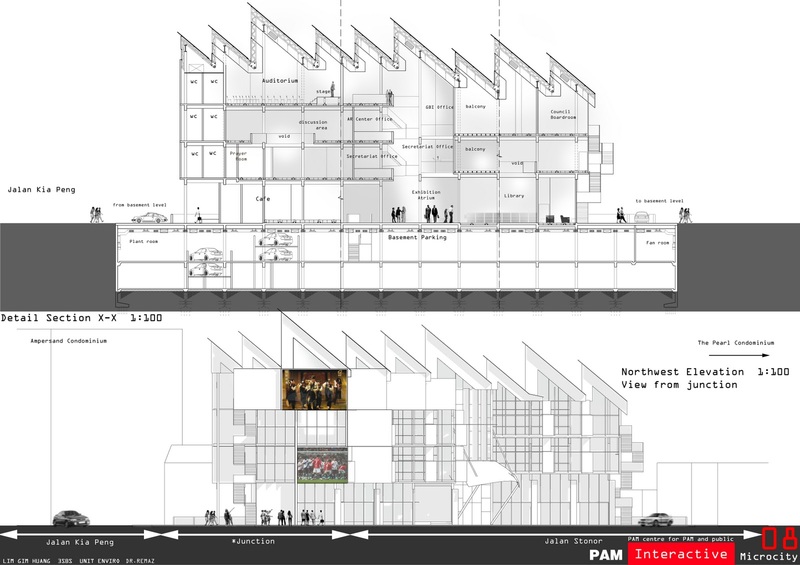 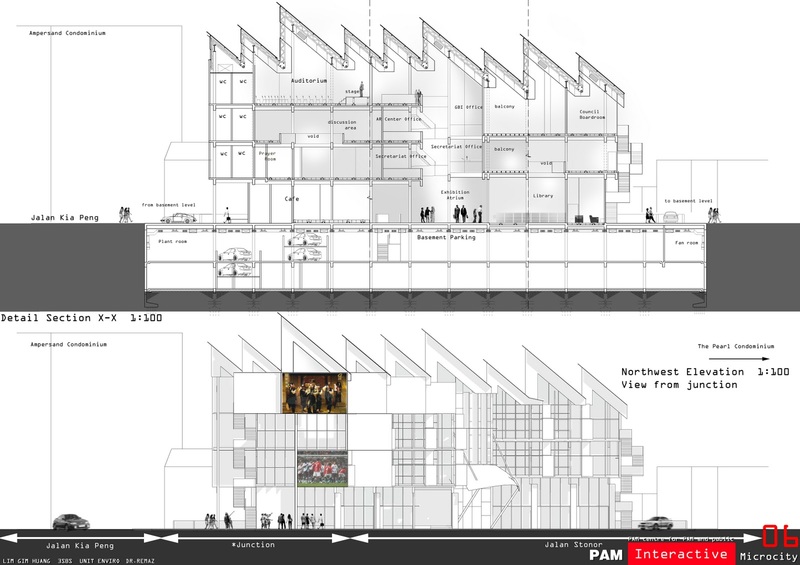 The brief from PAM called for an office building for (Pertubuhan Arkitak Malaysia)PAM and the public. 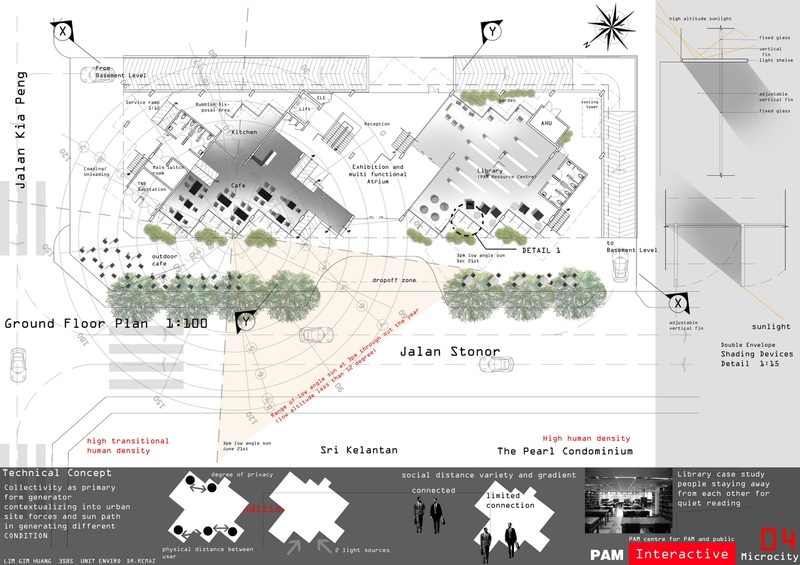 How to create an ecological sustainable workplace where people can interacts with each other? Is there an interaction between private institution and public domain or just an ignorance? 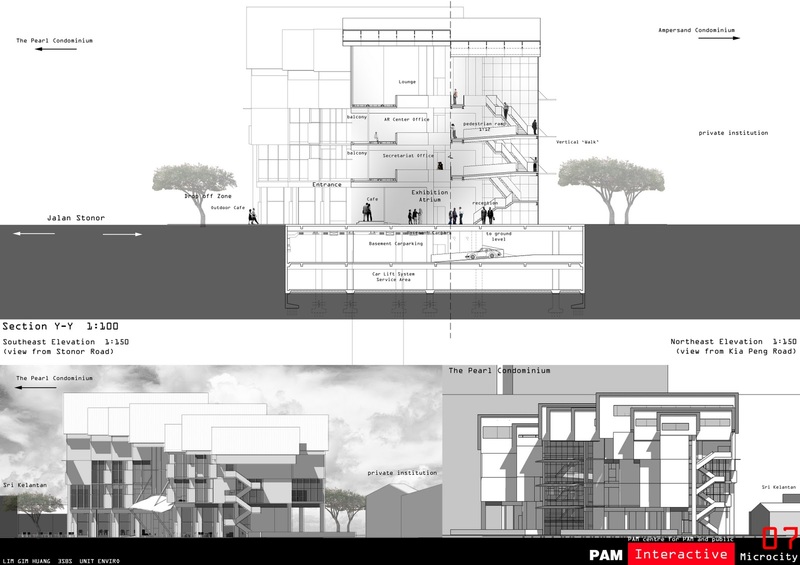 The architecture of this project is the condition, the way how occupant works in their workplace. 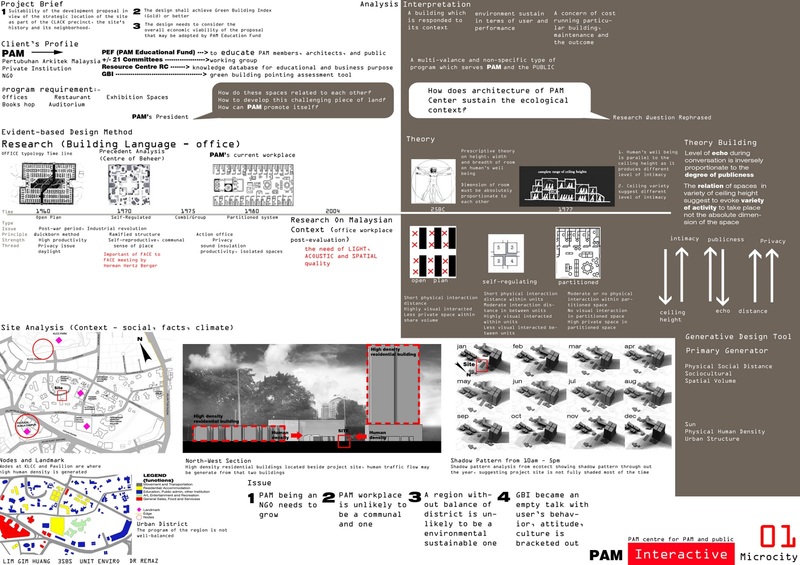 The design results from a process, trace, tracing different contexts i.e. 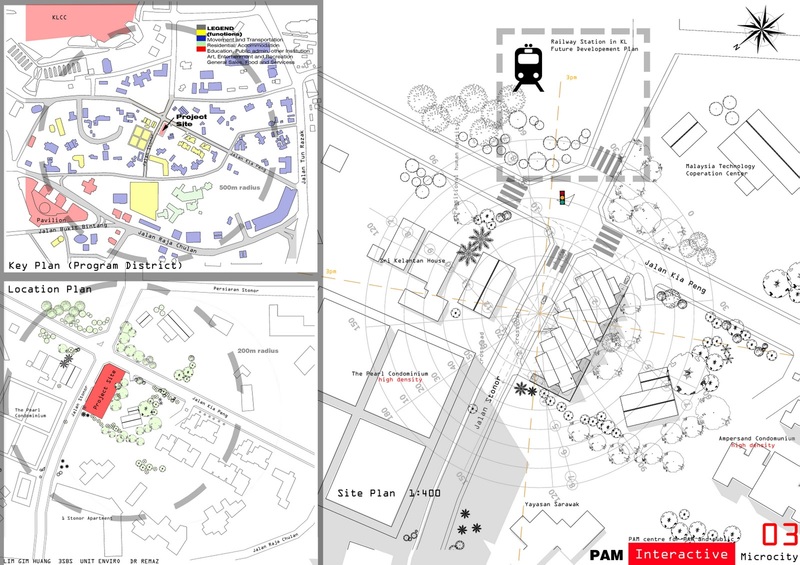 social, cultural, site and physical environment, and the data obtained from formal research call evidence, slightly more than the process used in the previous project (Community Library). Social space which is derived from the culture of occupant's workplace is perceived as a primary generator of the architecture, connecting occupants spatially, with limited visual connectivity allowing a certain degree of privacy. 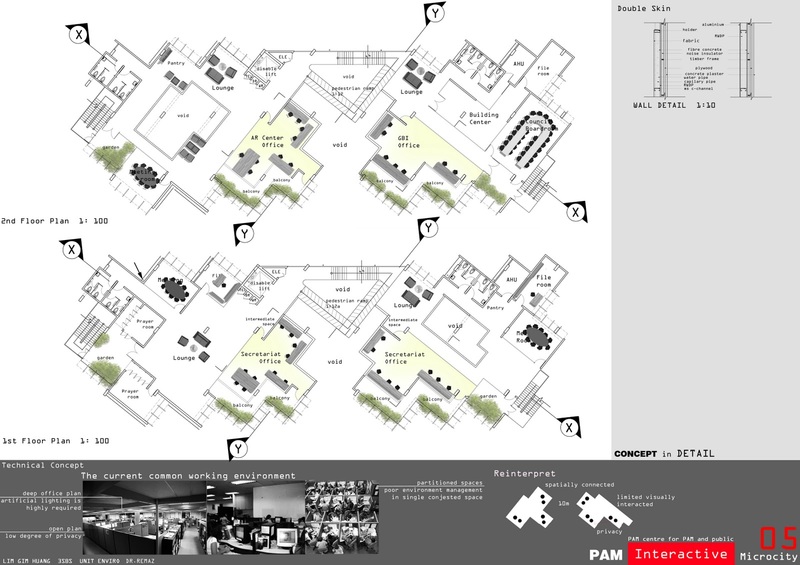 Huge office space is broken down into smaller, linked-island according to groups and units, thus the increasing the opportunity for individuals and groups to control their microenvironment. 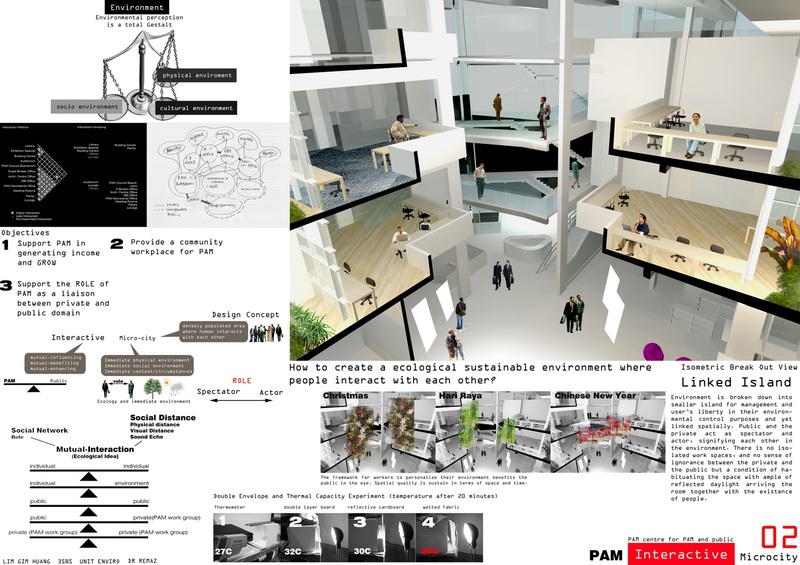 The relationship of the connected, gradience of spaces from public exhibition atrium, to the semi-private vertical circulation, to the private working offices induces vibrancy to the environment, the public and the private user become actor and spectator, subject of each other when they undergo their activities in spaces. 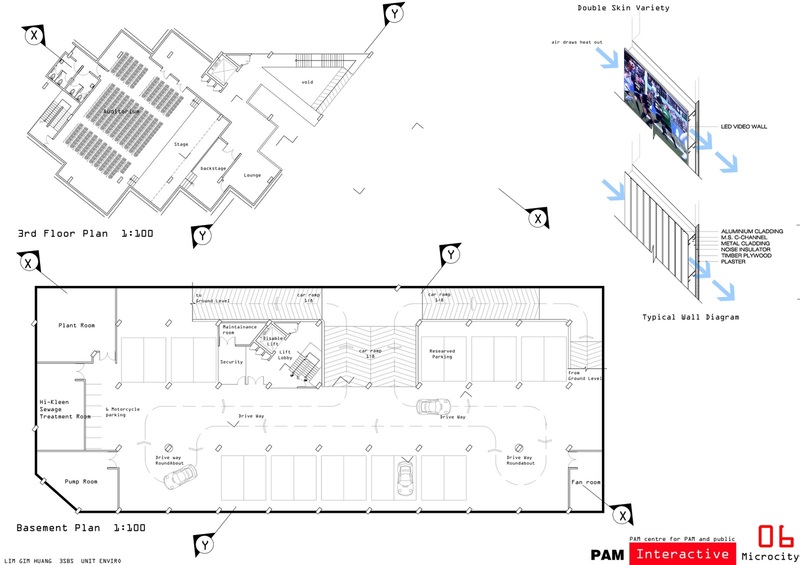 The personalization of spaces by the private workgroup in the atrium influencing each other visually and it catalyzes the experiences of the public atrium user. 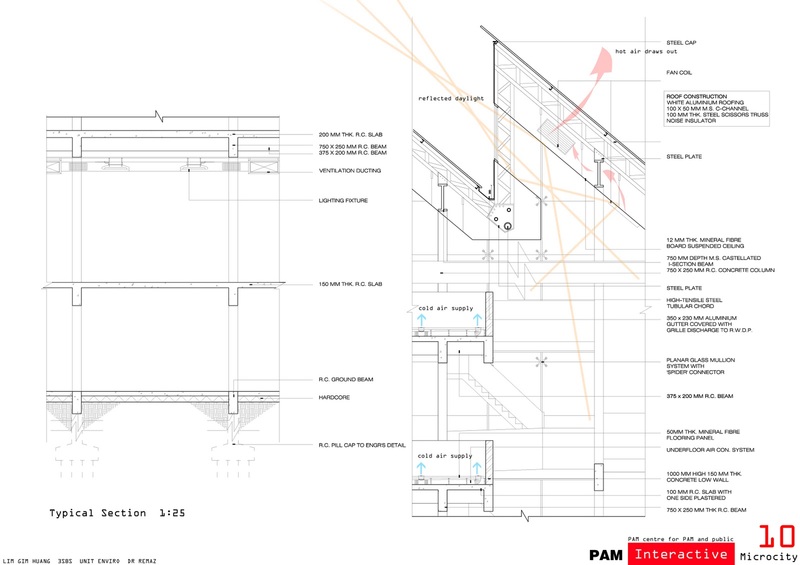 The idea of connected spaces is perceived as a dynamic one, sustaining the quality of space in terms of the way users participate in their environment.